Discussions Magazine Music Blog: SPAZ reviews KITES WITH LIGHTS' album ON THE EDGES! 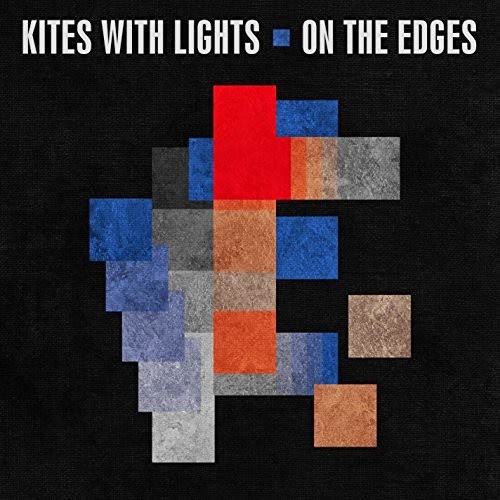 SPAZ reviews KITES WITH LIGHTS' album ON THE EDGES! I’m a huge fan of ‘80s music. I graduated high school in 1982 so all of this great music was coming out while I was in the prime of my life (yeah, it’s true, kids – it’s all downhill after you hit 18!). I hold so much of that music sacred so anytime someone tries to do a cover or create music influenced by that era, I’m immediately suspect to it and approach with caution. Most of the time, I’m disappointed by what I hear. The bands are usually just slick modern pop act who add few synth blips to their predictable Alt-Rock formula and then proclaim themselves “‘80s influenced.” On the other hand, you have bands like Kites With Lights who bridge the sounds of then and now successfully. This is synth pop that is heavily influenced by all the right bands (New Order, Pet Shop Boys, Human League) but doesn’t sound rooted in any time period. Yes, the band seems as if they could have been born out of the Electronic Pop boom of early ‘80s London but I also hear traces of ‘90s acts like 808 State and Frazier Chorus as well. There are also a few moments here that recall Magnetic Fields’s early albums. Finally, some of this recalls the tender Electronic Pop of Active Child as well.